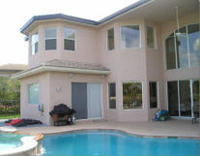 The ultimate in Hurricane and Storm shutter protection and ease. They maybe used for home security at night or when they go out of town. Our Roll-downs are the ultimate in performance and beauty and can be operated at the touch of a switch, or from a remote control. 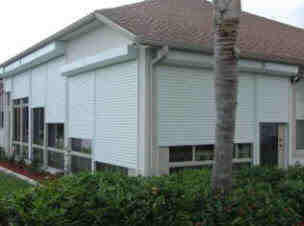 Rolling shutters have many functions such as Storm Protection, Security, Privacy, Insulation, or Noise and Light Reduction. They are generally surface mounted to the outside of the wall, within a balcony opening, or can be concealed in the building during new construction. 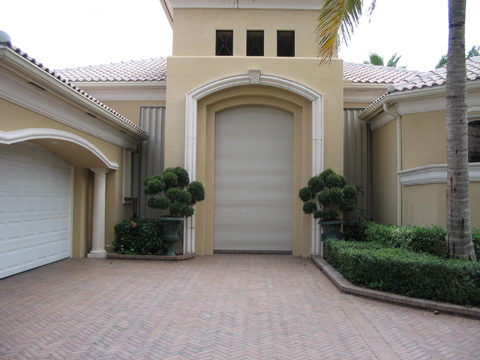 Rolling shutters are customized to fit any application providing extraordinary strength and stability for hurricane and security protection. Especially in coastal areas, these products are becoming more and more popular due to their ability to withstand hurricane force winds and flying debris. They can be operated manually or motorized and can also have an emergency manual override. Rolling shutters will reduce air conditioning and heat costs, lower noise by up to 70 percent, and protect furniture exposed to direct sunlight. Rolling shutters are the most convenient and easiest to operate with the most options available. 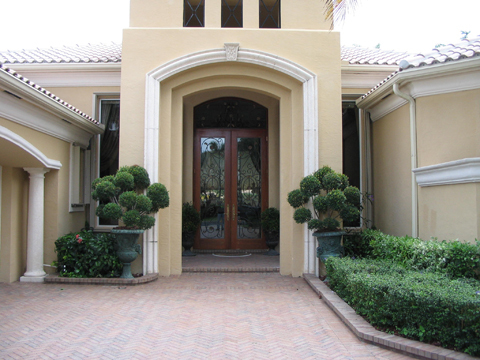 There are many types of exterior and interior applications available such as windows, doors, store fronts, lanais, patios, high-rise buildings, offices, condos, safe cases, counter areas such as kitchen breeze ways, reception areas, and hard to reach openings.